Bishop Bailey is the Senior Pastor of LGA. He was born and raised in Harlem, NY. Bishop Bailey was mentored and walked side by side with the Late Bishop Gerald J. Kaufman, founder of LGA, under his full time ministry for 8 years. 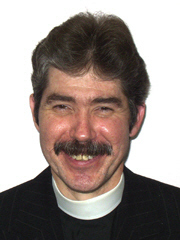 Bishop Bailey was ordained on April 26, 2004. Bishop oversees churches in Barbados, Ghana, Puerto Rico, Middletown, NY and several here in the Bronx. He has a Bachelors of Arts in Theological Studies, a Master of Arts in Theology from Evangelical Theological Seminary and Doctor of Ministry (D.MIN) from United Theological Seminary in conjunction with Robert Schuller's School for Preaching (FUQUA School of Communication). Bishop sits on the Board of Directors for the Urban Youth Alliance Inc. and The Steering Committee for The Bronx National Day of Prayer. He is also an Asum (Antioch School of Urban Ministry) instructor. Bishop Bailey's life and work as he labored beside Dr. Kaufman is considered a contemporary example of the Joshua and Moses paradigm. As a result, the vision of Love Gospel Assembly has admirably continued. Bishop Bailey has been empowered by God to pick up the torch and build on the sturdy foundation of ministry to/for the poor and the inner cities, giving God the glory, honor to individuals and dignity to the community. 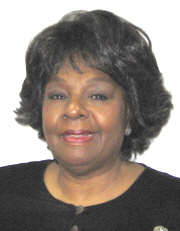 Reverend Dr. Dorotly W. Lewis, Pastor of Education received her Bachelors degree from North Carolina Central University, her Masters of Theology form Logos Bible College & Graduate School and holds an honorary Doctor of Theology degree from Evangelical Theological Seminary, and is a doctoral candidate at Biblical Life College and Seminary. 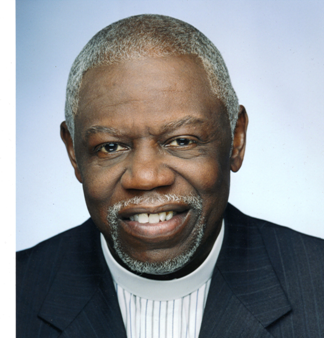 In 1989, Dr. Lewis became an Ordained Minister and a full-time Pastor of Education at Love Gospel Assembly. Dr. Lewis is the President of Antioch School of Urban Ministry an inner city Bible school to train and equip young men and women to minister within the inner cities of the nation. Her outstanding gifts for teaching and preaching has led her to share her gifting throughout the New York area and to many cities across the United States, to Barbados, West Indies and to the continent of Africa. Dr. Lewis has committed and dedicated her life to Jesus since childhood and will continue to do so. Reverend David Martin, Pastor of Praise and Worship, is a graduate of Zion Bible Institute and ASUM, where he has also taught various worship and related Biblical and Ministerial courses. God's gift of music is a major vehicle thru which the ministry of worship flows. Pastor David sings, plays and prophesies on a variety of musical instruments as he leads or accompanies the worship at LGA. The Lord has graced Pastor David to minister thru worship leading, pastoring, teaching and preaching in as far abroad as the Caribbean and Africa. The Lord Jesus Christ is the passion and the burning desire of Pastor David's life; to know Him, to love Him, to worship Him and serve HIm, to share Him with others, so they too can worship, is his desire. Reverend Lillian Gutierrez, an associate pastor worked for the Board of Education of the City of NY for 33 years and is an executive board member of LGA International Ministerial Fellowship. 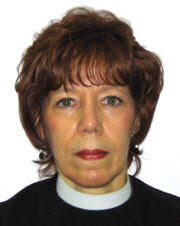 She retired from the Board of Ed in 2005 and has devoted her time to the building of the Kingdom of God. The Lord has opened many doors of ministry for her. She travels and preaches throughout the United States, the Caribbean and Latin America..